Posted on Thursday, November 15th, 2012 at 8:34 pm. Erin Li is a 2nd generation Taiwanese American filmmaker. 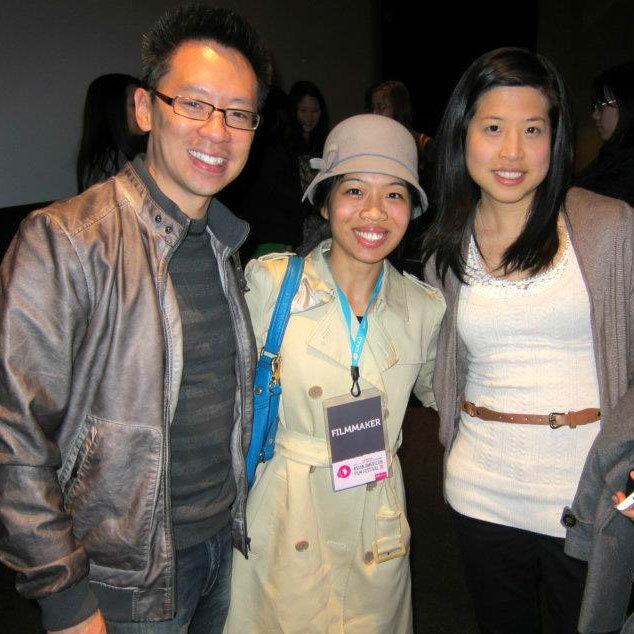 TaiwaneseAmerican.org has been pleased to support her work in the past, which includes L.A. Coffin School, a film about a recently transplanted grandmother who enrolls in a school that claims to teach people how to start life anew. Her most recent film, To the Bone, tells the story of a preteen migrant farmworker who attempts to defy the status quo with unintended consequences for herself and her family. It was one of six films greenlit and commissioned by Film Independent to explore themes of California and democracy. We’re pleased to catch up with her once again on yet another project that features a Taiwanese American scientist’s work on transparent solar cells. H: Hi Erin! It’s great to see another interesting film that you’ve produced and directed, Catching the Invisible Light. Can you tell us how you came across this opportunity? E: Thank you, Ho Chie! I heard about the Focus Forward Films competition while screening another film I recently directed at the Los Angeles Film Festival. Focus Forward was specifically looking for three-minute documentary films that highlight a technological innovation that could revolutionize the way we live in the future. I’ve been working on a feature script (for COFFIN SCHOOL) and wanted to work on a short form project in tandem. I thought that this would be a perfect project to tackle over the summer. H: I definitely enjoyed L.A. Coffin School. It’ll be interesting to see how you develop that into a fuller feature. For this short project, how did you choose this particular topic on nanotechnology and solar cells? E: I brainstormed, researched, and considered a wide range of possible topics to explore. I’ve always been interested in nanotechnology and came across the California NanoSystems Institute and their solar cell project. Transparent solar cells that capture infrared light, which is invisible to the human eye, would allow us to capitalize on the abundant surface area on skyscrapers, car windows and windshields, etc. Right now, solar panels are most commonly found on rooftops; this innovation expands the potential of solar energy to a whole new level. 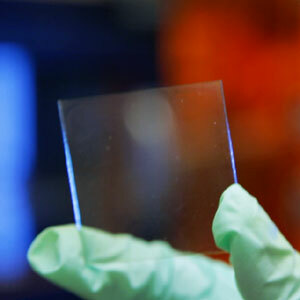 In addition to windows, people could potentially have transparent solar cells on their laptop screens, tablets, smart phones, car windows, etc. As a resident of Los Angeles, the city’s high pollution, smog, traffic and sky-high gas prices can be a bit much. When I lived in Hong Kong, I very rarely saw a clear, blue sky. So the prospect of implementing alternative, clean energy seems logical and very attractive to me and I feel it would ultimately create a healthier environment for everyone. H: Agreed! And it’s admirable that you chose to highlight this technology. I certainly learned something new. Is this your first time doing a documentary? E: I absolutely love working on documentary films! In the past, I’ve mostly worked on the producing side of feature documentaries. This is my second documentary project as a director; I filmed the first one in college. My favorite aspects of working on docs are being immersed in a new environment, learning about a topic and finally sharing it with the world. In the past few years, I’ve had the privilege of learning about various, fascinating aspects of American history – topics ranging from amazing female jazz instrumentalists who suffered discrimination in the 1920s, to Iceberg Slim, the most notorious pimp in the U.S. who became a renowned street lit author; from former Mayor Tom Bradley to the crack cocaine epidemic of South Central Los Angeles in the ‘80s. And it isn’t a passive learning experience; you’re doing research, obtaining rare footage, stills, interacting with interview subjects as well as the audience. Filmmakers who work on independent documentaries also tend to be extremely passionate about their projects and the subject matter. It isn’t just a project to earn a buck (since indie docs typically have extremely low budgets) – it is a story that they HAVE to tell the world. And those are the types of stories that I gravitate towards. H: What did producing this project entail? And did you come across any major challenges? E: A large part of documentary filmmaking is obtaining access to interview subjects. At the time, I was living in Westwood at the time, so I thought, why not UCLA? They’re right in my backyard. 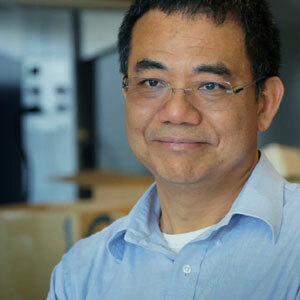 H: It’s interesting to know that Dr. Yang Yang is of Taiwanese heritage also, and here you are as a Taiwanese American filmmaker who is able to highlight some of his work. What are your thoughts about this synergy within our Taiwanese American network? E: It was definitely a happy coincidence. I discovered more about Professor Yang’s background when prepping for the film shoot and told him about our shared heritage. He was very supportive of the documentary and was interested in my other films as well. I think it really shows how diverse we are as a community. I feel that it is important to support members of our community, especially when there are so few. After all, I still meet people who aren’t sure where Taiwan is located! H: So, this project is in competition for an audience award, correct? E: Yes, Catching the Invisible Light is a Semi-Finalist in the Focus Forward competition and up for an Audience Award. Hopefully the film will raise more awareness about the possibilities and benefits of alternative, clean energy. H: Excellent! Well, we hope our viewers enjoy this film as much as I did. And it’s always great to be able to support you and your projects. If you enjoyed this film, please go to and be sure to VOTE for Catching the Invisible Light. The VOTE button shows up when you hover over the video while it plays, and also shows up at the end. Voting lasts until December 20, 2012.